The process of going through a divorce is not an easy thing, especially when there are children involved. There are two different types of child custody: physical and legal. Even if you divorce with your soon to be ex-spouse is amicable, determine where the children live and who has the right to make decisions on their behalf can often be contention. It’s important to understand how physical and legal custody is determined. This way you can be prepared and know what you are fighting for during the divorce process. 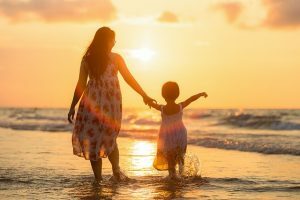 What Is Physical Child Custody? Physical child custody refers to the determination of where the child will live on a permanent basis. In most states, the judge presiding over your divorce litigation will evaluate all evidence that is presented and will make a decision that is “in the best interest of the child”. If there is differentiating opinions between the judge, the child, and the divorcing couple, having a divorce attorney by your side to fight for your wishes is incredibly important. Remember, the judge does not visit the house or observe your family dynamic; they just take into consideration what is discussed during the divorce process. A good child custody lawyer will also have connections to mediators, evaluators and will be able to represent you in an effective way to ensure that your custody wishes are granted. There are many cases where parents are granted joint physical custody of a child. However, the best interest of a child is used to determine which parent will be the primary custodian while the other parent is given visitation rights. The parent who earns primary custodian might also be entitled to child support as well. If a visitation schedule cannot be agreed upon, there will be another round of mediation between the lawyers or the judge will determine what is also in the best interest of the child. Legal custody is the fundamental right to make decisions on behalf of the child’s life. These decisions include things such as healthcare, safety, religion, education. Most of the time, both parents have joint legal custody. However, this does not give the right for one parent to make any major decisions without the approval of the other. In extreme cases where parents cannot agree on how to raise the child, a parent can file for sole legal custody. The burden will be on your child custody lawyers that sole custody is what is in the best interest of the child. Does My Child Need To Be Involved In This Process? It is highly unlikely that your child will need to be involved in the litigation process at divorce court. However, there is a chance that your child might be interviewed by a court-appointed third party counselor. If your child is over the age of 14 and has expressed in voicing their opinion, the counselor will interview them and present the child’s wishes to the judge. The judge can disregard the child’s opinion especially if they feel if it is not in the child’s best interest. However, even children under the age of 14 might be interviewed by a counselor. The counselor’s purpose is to learn about the relationships between the child and their parents, and the quality of life that would be given to the child at each parent’s home.